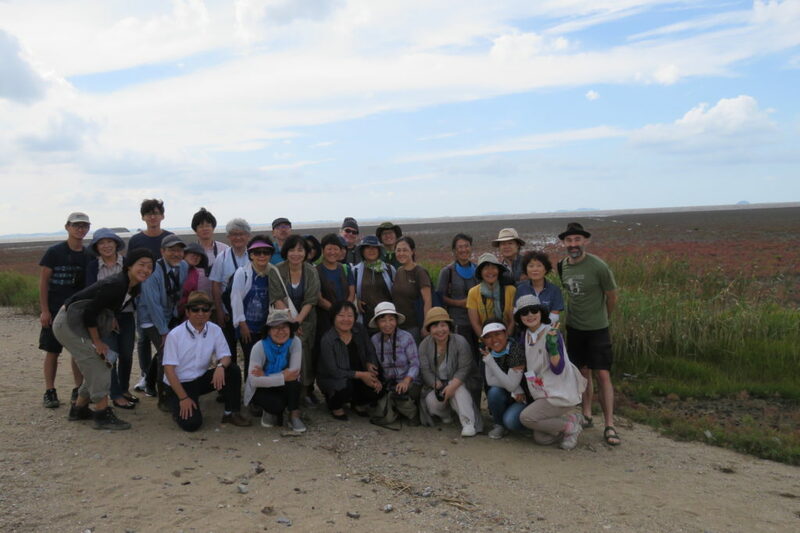 Following the successful Hwaseong symposium, most of two days were spent counting shorebirds as part of World Shorebirds Day. 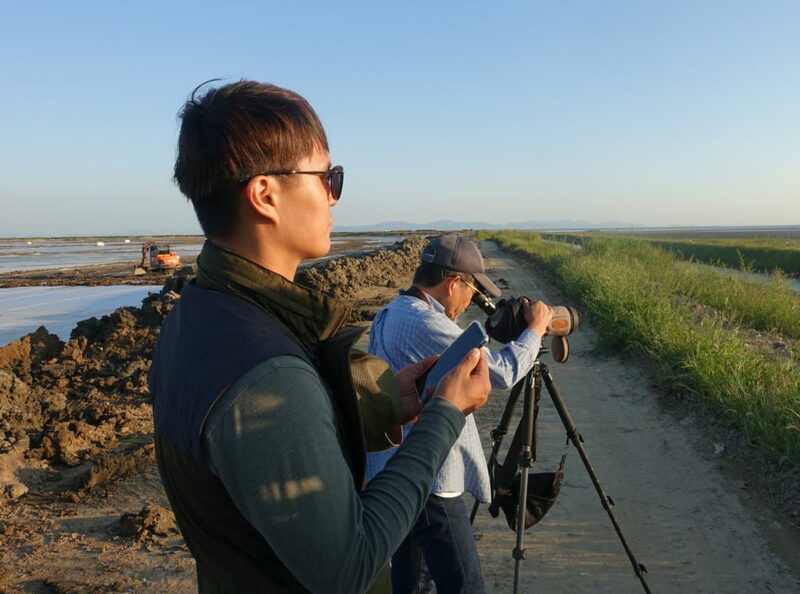 On the 7th, together with Ha Jungmoon (Birds Korean), Hebo Peng (Team Piersma) and Wan-Chih Yin (SAVE International) and then with a much larger group, several hours were spent at the Hwaseong Wetlands, including the reclamation lake and the main tidal flat. 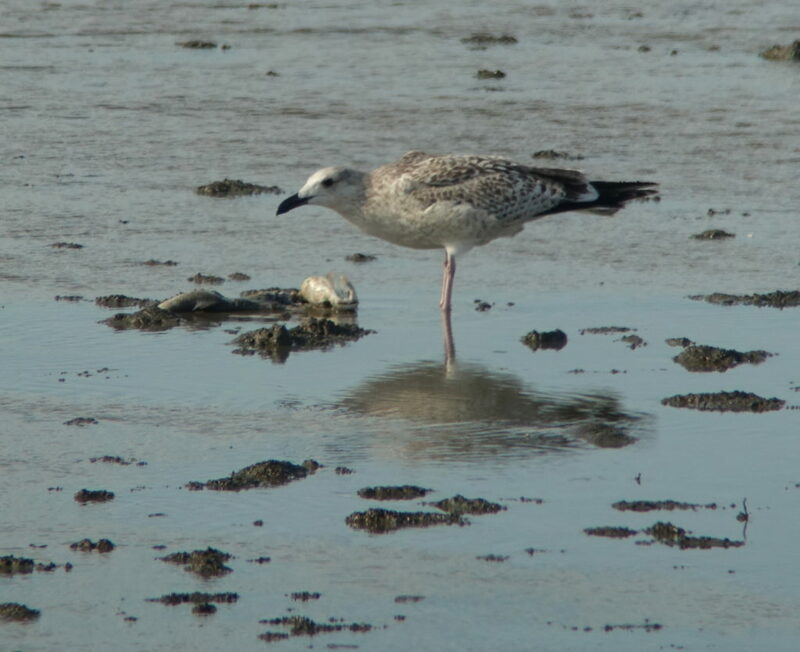 In total, and in spite of a quite poor high tide, between 4,600 and 6,400 shorebirds of 25 species were recorded at Hwaseong, with most numerous being Dunlin (c. 2,500), Eurasian Curlew (1,140), Grey Plover (575) and Far Eastern Curlew (330). 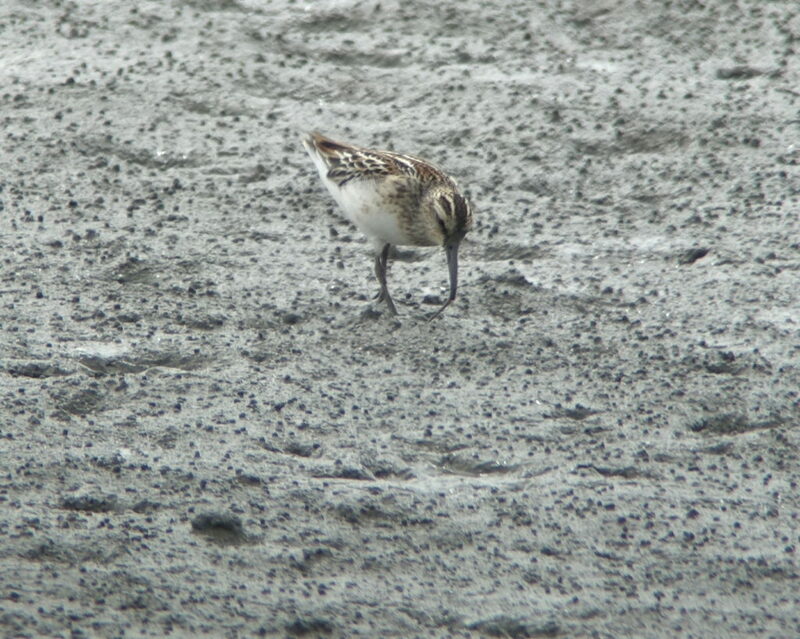 Highlight was a briefly-seen single Spoon-billed Sandpiper (seen by only two of us). 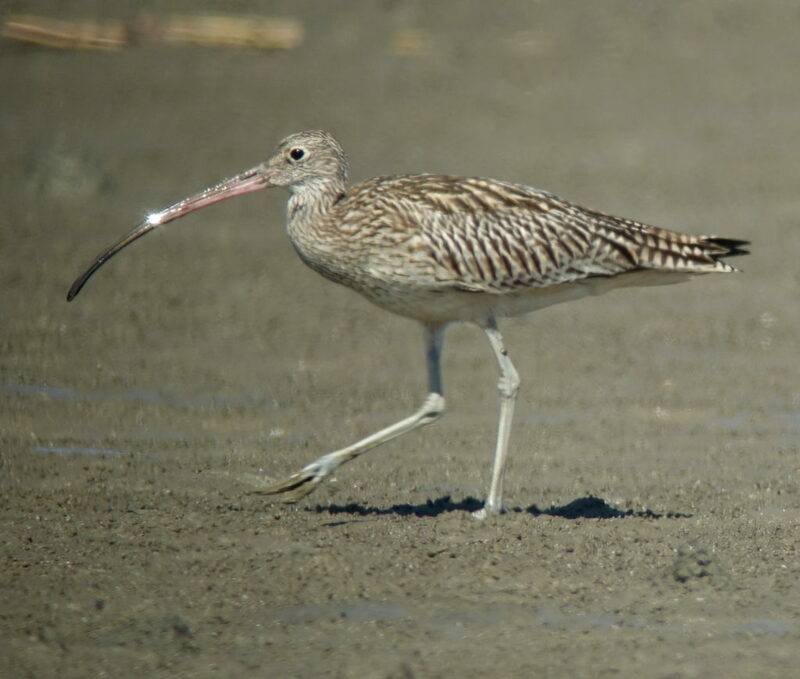 Additional shorebirds of note there included 40 Great Knot, four Broad-billed Sandpiper, three Red Knot, and a single Curlew Sandpiper. 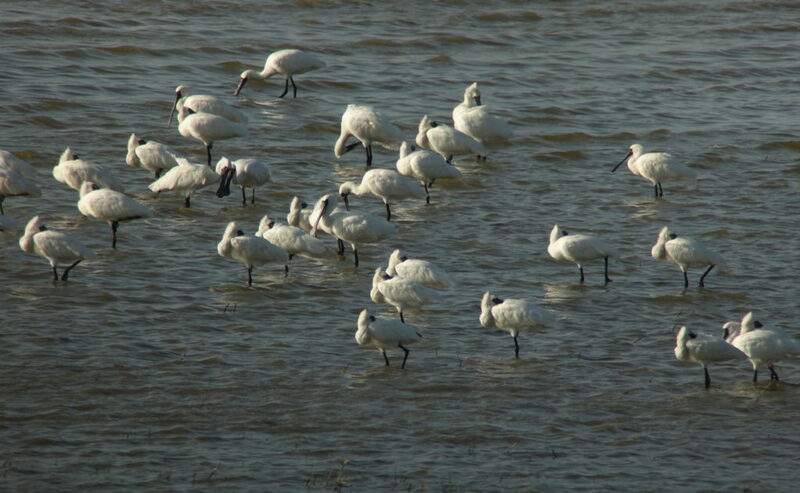 Also present at Hwaseong were 21 Saunders’s Gull, 51+ Chinese Egret, at least 160 Black-faced Spoonbill and several Mongolian Gull already moving into First-winter plumage. 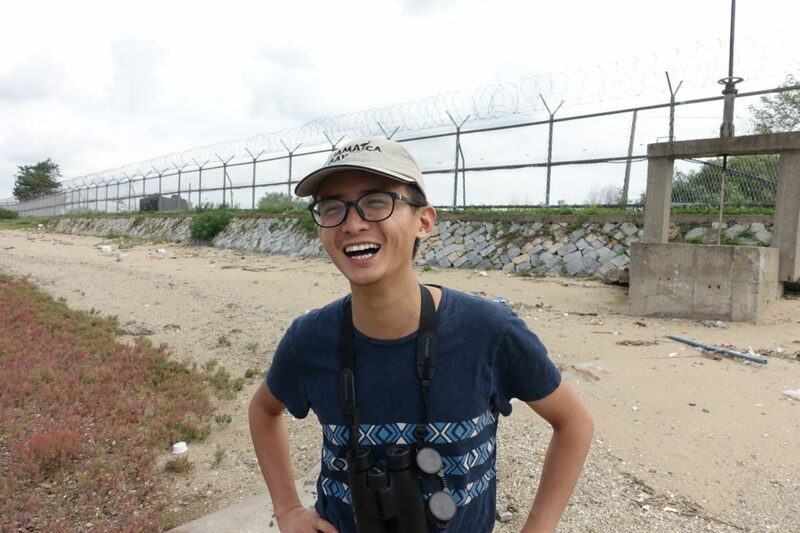 On the 8th, together with Jung Hanchul (Hwaseong KFEM), Hebo Peng , Kashiwagi Minoru (Ramsar Network Japan) and Chris Purnell (BirdLife Australia), we found a total of 28,000-31,000 shorebirds of 21 species during a similarly weak tide high tide at Yubu Island in the Geum Estuary. 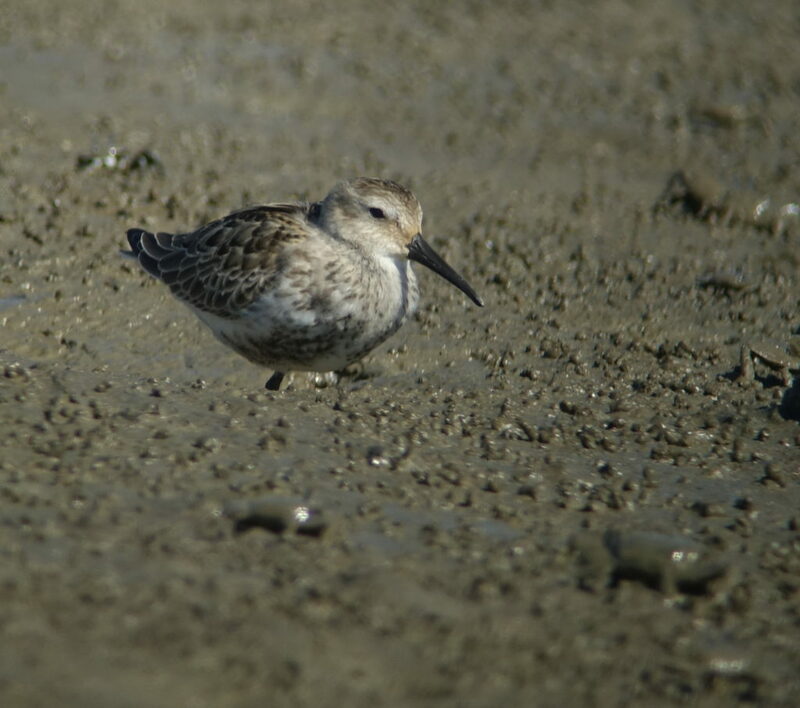 There, most numerous species were Dunlin (based on quick and coarse estimates made of birds in flight, up to 18,000 were present), Far Eastern Curlew (2,500), Red-necked Stint (2,000+), Mongolian Plover (1,600+), Great Knot (1,500), Kentish Plover (1,400+), Far Eastern Oystercatcher (990) and Broad-billed Sandpiper (500+), with nationally scarce shorebirds including Greater Sand Plover (5) and Curlew Sandpiper (4). 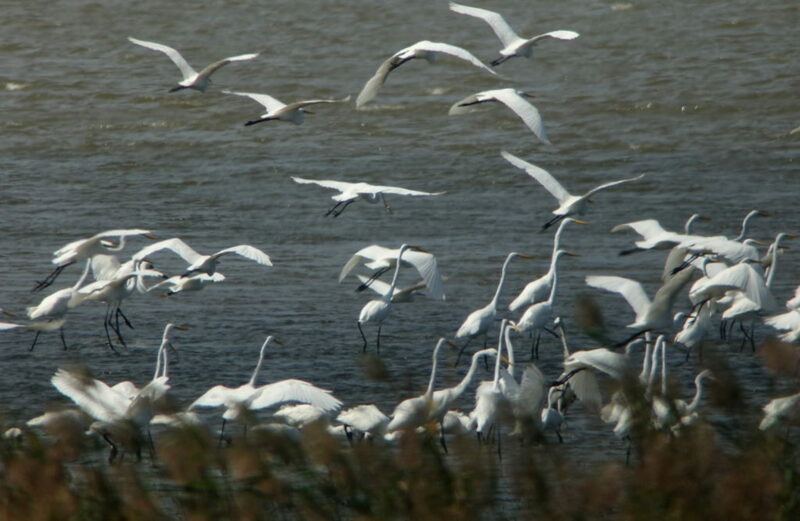 As at Hwaseong, several additional Yellow Sea specials were recorded, including 30 Saunders’s Gull, 11 Chinese Egret and 55 Black-faced Spoonbill. The contrast between the abundance of the Geum Estuary and the adjacent near birdless Saemangeum could not have been much greater. 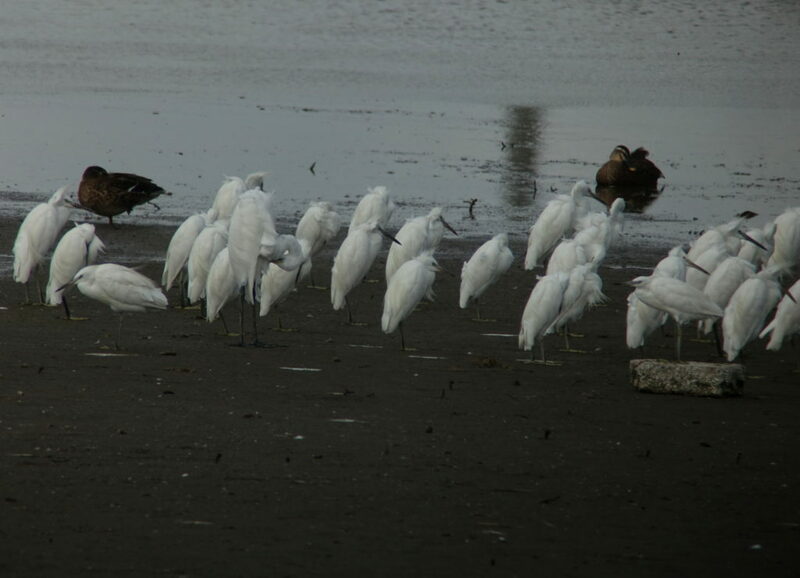 A check of a reclamation pond in Saemangeum in the evening found only 17 shorebirds of four species.